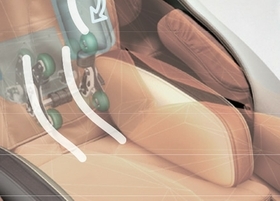 2D Massage Chair with Airbag & Rolling Function. 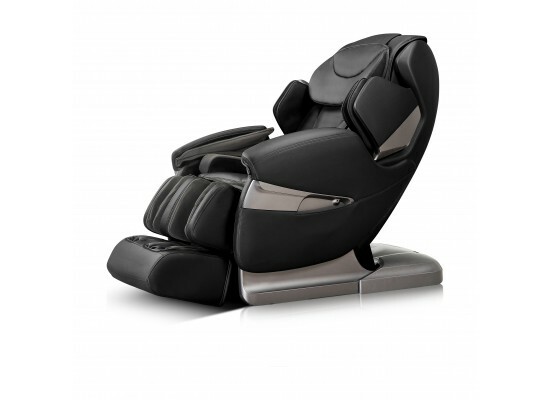 Full Body Massage with Back Heating Function. Equipped with handy LCD Display & Remote. Supports Front & Back Reclining. 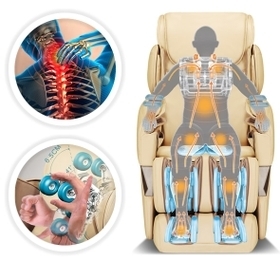 An air pressure bags for overall massage is available on this Wansa chair and provides having an air pressure supply, which includes a pump to generate air pressure and a functional pump can be connected (Sold Separately). It can also be connected with a pressure switch, an electromagnetic valve, an air delivery hole and a pressure controller individually. There is a time clock used for setting the operation time. When air pressure is conveyed through an air delivery hole, it can enter into an air delivery hose to fill massage clothes such as trousers. After the setting pressure imposed on the human body has reached the setting time, then the air escapes for a predetermined number of seconds and then fill again automatically. Thus, the human body is repeatedly pressured and relaxed again and again to have an overall massage effect. 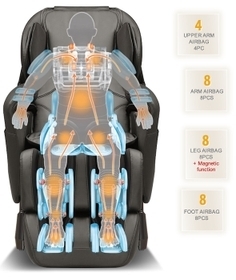 In the upper to mid portion of the chair, the air bags are programmed to inflate at independent times, which cause the body to twist, creating an enjoyable deep stretch. An eased massage therapy is applied to the shoulders, lower back, hips, and thighs. Placed in the lower back region of the chair are 2 heating pads which enhance the massage experience and give you a warm feeling of relief. Select one of the given programs and enjoy a deep tissue and muscle relaxing massage like never before!